MANILA, Philippines - It’s the time of the year again where the PBA teams pick their bets to bolster their roster and draftees take their first steps to stardom at the annual rookie draft on December 16, 2018 at Robinsons Ermita. A major change occurred in this year’s draft as Commissioner Willie Marcial imposed a no-trade rule during the draft day. Teams can only submit their trade proposals to the commissioner’s office a day after the event. 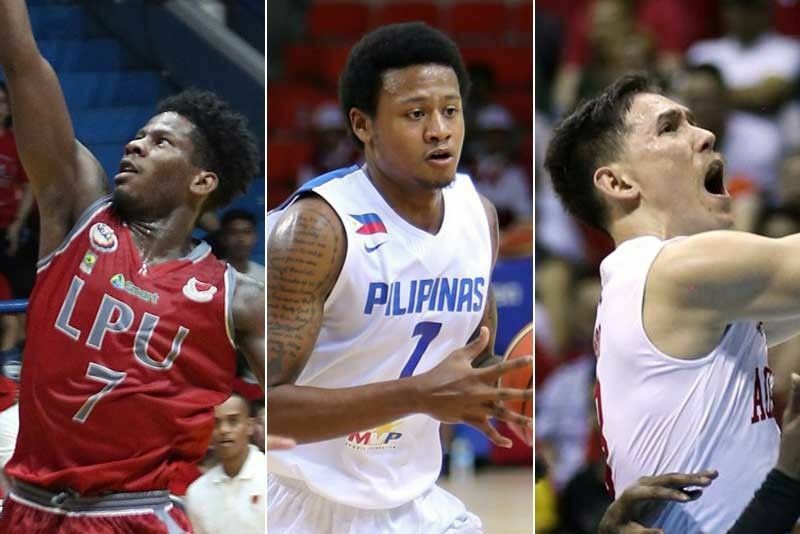 Basketball aficionados’ eyes are all on Gilas Pilipinas cadet and Alab Pilipinas guard Bobby Ray Parks, Lyceum of the Philippines Pirates’ CJ Perez and San Beda College “King Lion” Robert Bolick who are predicted to occupy the top 3 spots. Just like in 2017, Columbian Dyip got the overall pick this year. The only difference is, the team traded its rights to San Miguel Beermen. But who knows, Columbian might once again gamble and trade for better players in exchange for Perez. As Commissioner Marcial opened the floor for the rookie selection for the teams, Columbian opted for the agile Pirate, CJ Perez. The second pick of this year belongs to Blackwater Elite and Coach Bong Ramos picked Bobby Ray Parks while North Port Batang Pier selected Robert Bolick at number 4. Pundits’ prediction on top 3 picks got fulfilled. However, prior to the draft proper, experts leaned on Parks Jr. to be the overall draftee. NLEX Road Warriors and their head coach, Yeng Guiao surprised the crowd by taking UP Fighting Maroon point guard Paul Desiderio at number 4. Desiderio steered the Maroons in their 1st UAAP Men’s Basketball Finals appearance after 32 long years and famous for his “Atin to” battle cry. The Meralco Bolts added another guard on their rotation after going with Fil-Am Trevis Jackson who’s being compared to Beerman Chris Ross for the 5th pick of the night. Another San Beda Red Lion got picked up as Coach Caloy Garcia announced that the Rain Or Shine Elasto Painters are choosing legit three-point shooter Javee Mocon at the 6th pick. Veteran big man Asi Taulava got another partner at the front court after NLEX selected De La Salle Green Archer and one-time Gilas Pilipinas center Abu Tratter for their 7th pick. 8th pick went to Rain Or Shine and the Elasto Painters selected National University and Go For Gold PBA D-League two-guard Jay Jay Alejandro. The Alaska Aces made their first pick of the night as they chose Jesper Ayaay from Lyceum of the Philippines at 9th spot. Likewise, Aces’ rivals in the Governors’ Cup Finals, Magnolia Hotshots at the 10th pick, went for big man Michael Calisaan who’s being compared to Mark Borboran in terms of play style and shooting prowess. Columbian Dyip, at the 11th pick, chose the youngest draftee in this batch at 21 years old, John Paul Calvo, who, according to analyst Andy Jao, is a quicker version of JV Casio. The last pick of the first round belongs to the Phoenix Fuel Masters and Head Coach Louie Alas selected lees-known Jorey Napoles from Technological University of the Philippines (TIP). This year’s draft is a guard-laden prospects. Aside from the top 7, experts branded this batch as a shallow one compared to the previous year. For the drafted talents, being selected by their respective teams is just the inaugural step to their dream careers as they still need to show their skills and abilities to impress the management and their coaches to sign a contract and make a living.